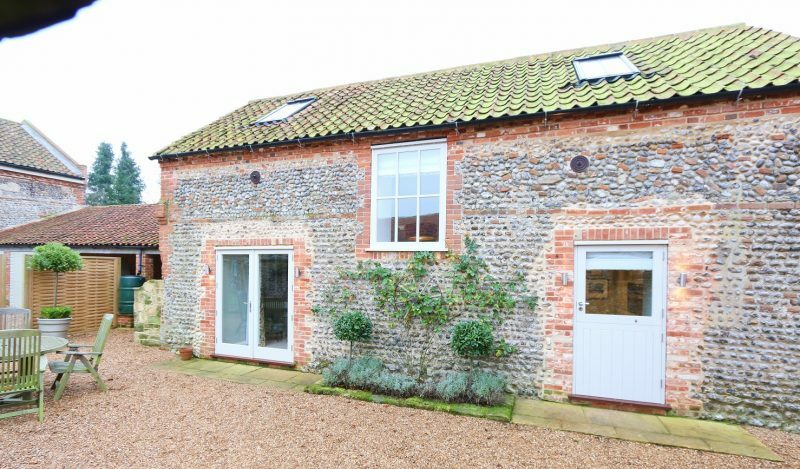 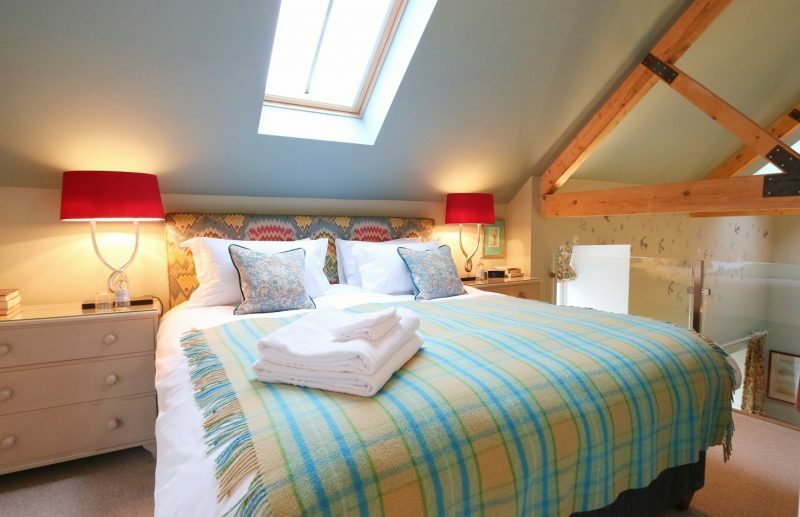 Poppy Barn is a beautifully designed barn conversion ideal for couples looking for a romantic getaway in the beautiful North Norfolk countryside, just a couple of miles from the coast at Blakeney. 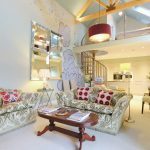 This pretty brick and flint barn has been lavishly styled by a professional interior designer using a selection of antique furniture, wonderful murals and a high end kitchen and shower room. 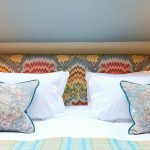 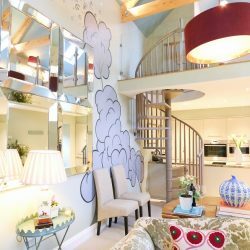 The result is this luxurious and fabulously quirky bolthole that makes the perfect little love-nest for romantic retreats. 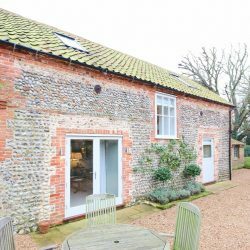 Located in a peaceful off-road location on the edge of the pretty North Norfolk village of Field Dalling Poppy Barn is perfect for those who just want a break ‘away from it all’. 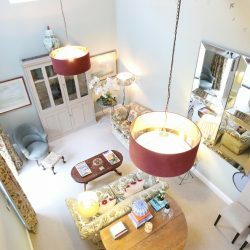 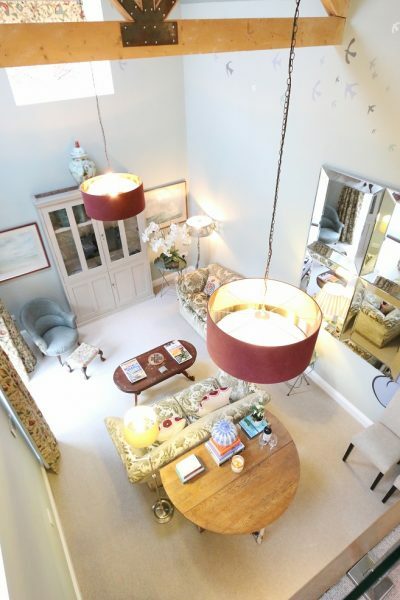 With wonderful walks straight from the door, trips to the coast at Blakeney and Wells-next-the-Sea, or simply for relaxing with a glass of wine and putting your feet up – you couldn’t wish for a more peaceful hideaway in Norfolk. 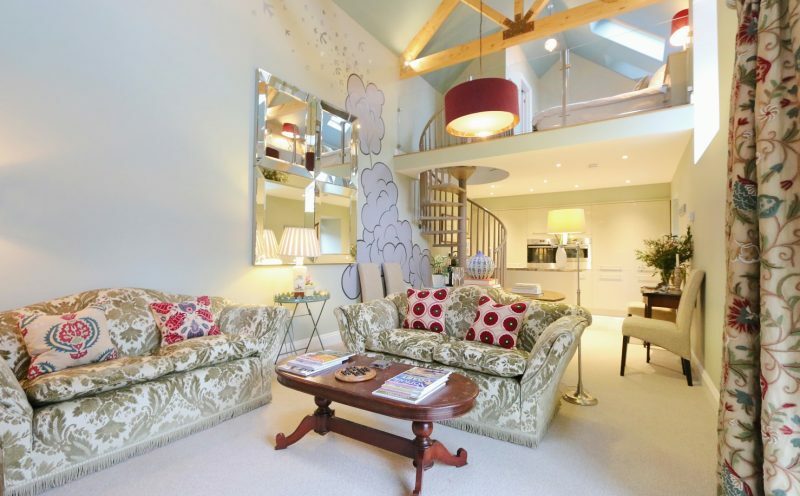 The stunning interior of this barn conversion is completely open plan. 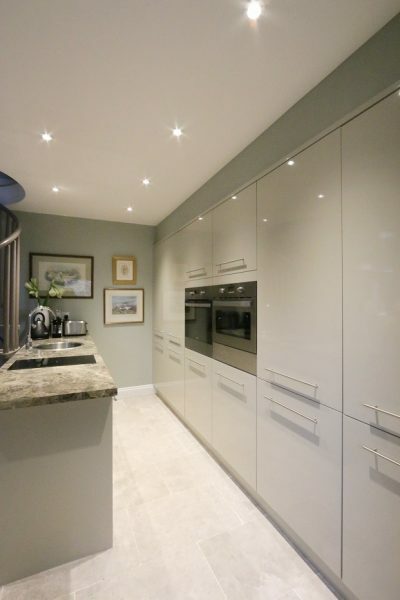 The ground floor consists of a high quality kitchen with fabulous floor to ceiling units with integrated oven and microwave and a marble topped island topped with induction hob and Nespresso machine under which is the integrated dishwasher. 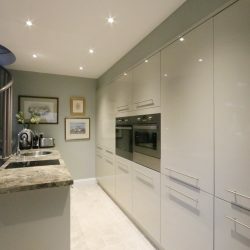 The kitchen is superbly equipped for those who want to eat in whilst on holiday however if you would prefer to venture out for meals you are spoilt for choice with numerous quality eateries nearby. 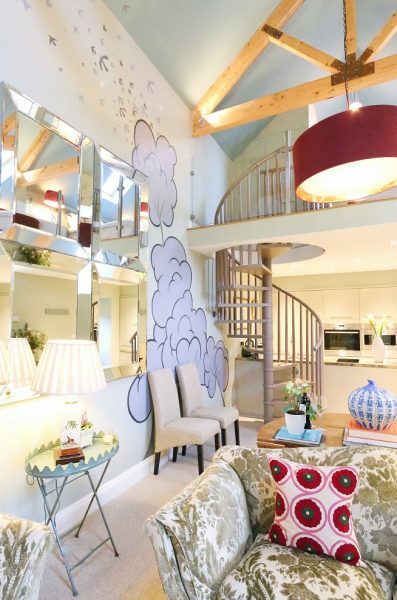 The living area with its magnificent mural wrapping its way around three walls, has a really special feel to it. 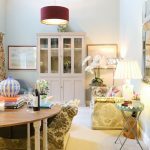 The use of antique furnishing with the modern design of the conversion works superbly and helps give this room a lovely cosy feel. 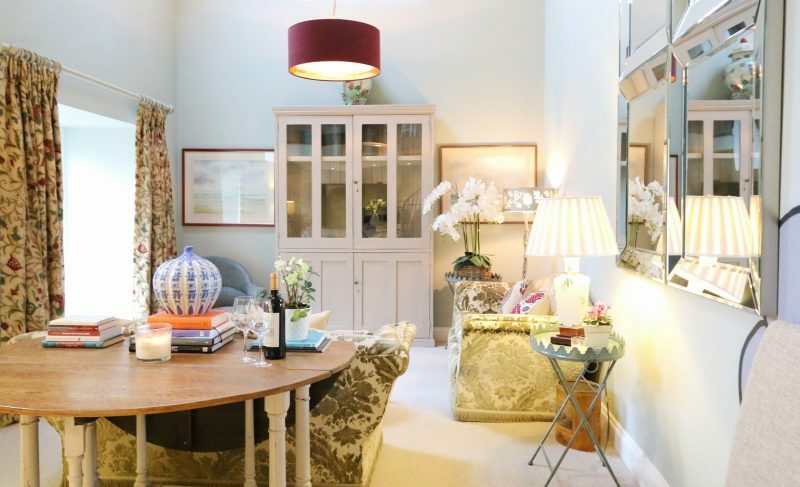 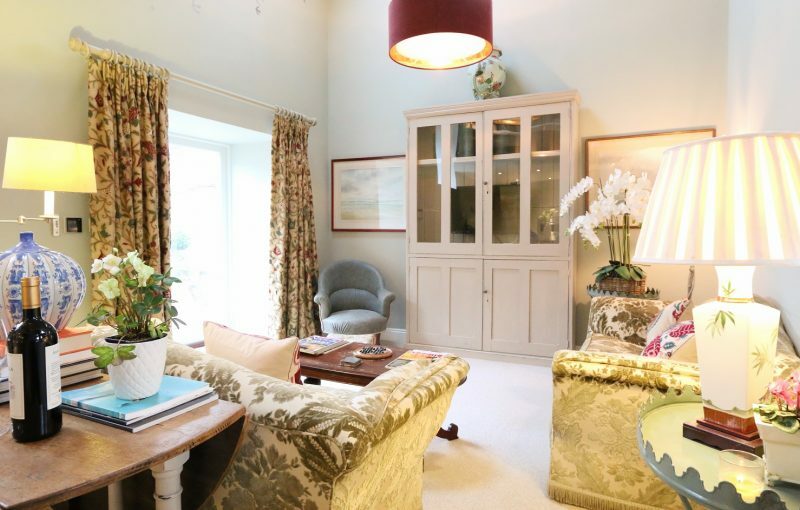 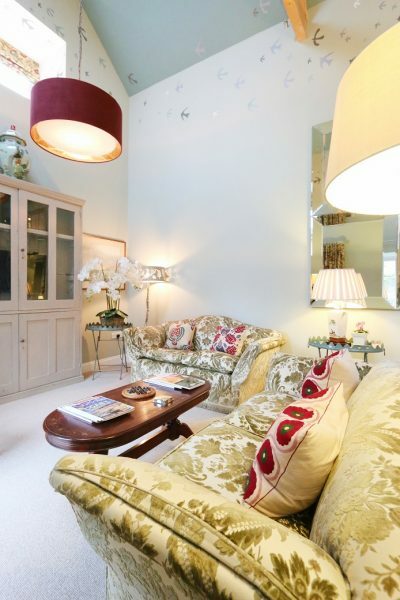 There are two, large comfy sofas and a large LED TV with FreeSat cleverly hidden inside a glass fronted cabinet. 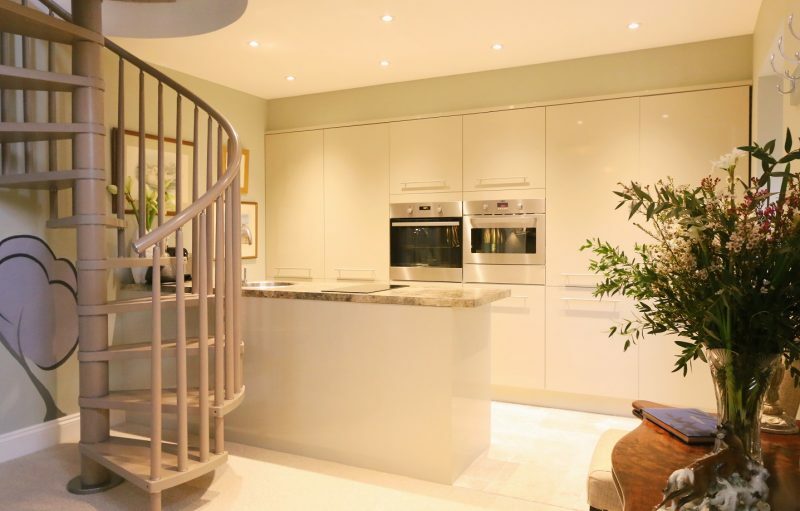 In between this area and the kitchen is a dining area with a table that will comfortably seat four. 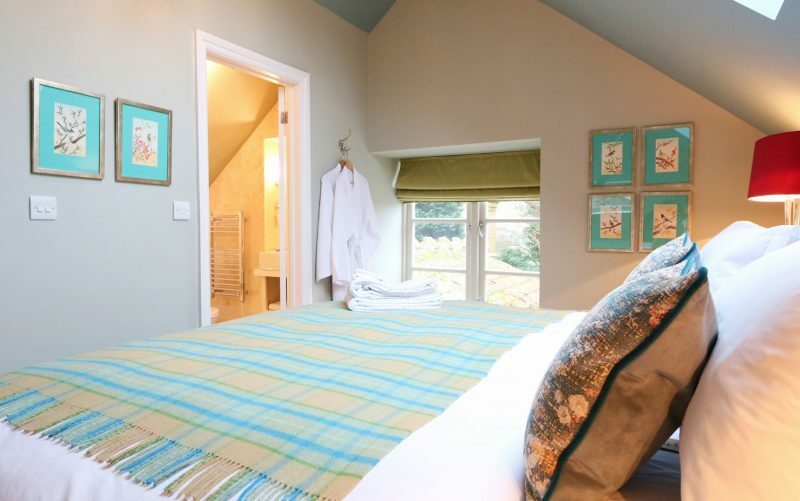 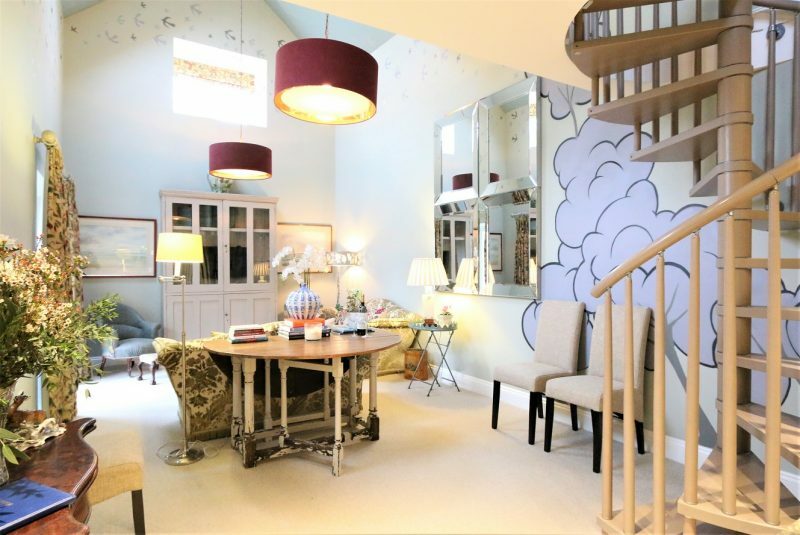 The beautifully presented bedroom, accessed via an eye-catching spiral staircase, has a wonderfully luxurious 6 foot ‘super king’ bed which promises a blissful night’s sleep and will make lazy mornings with breakfast in bed difficult to deny! 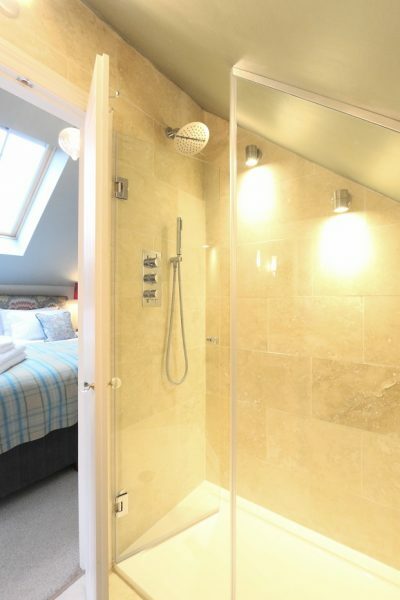 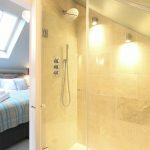 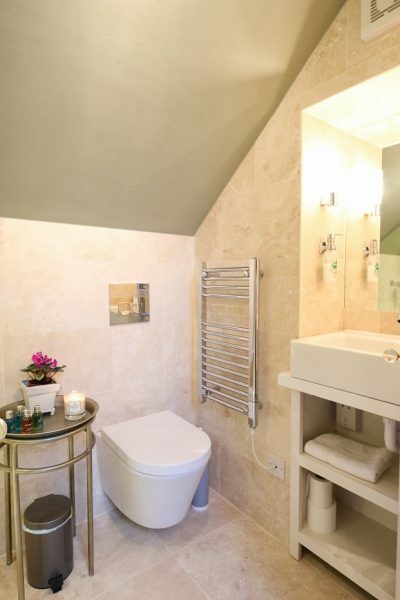 Off the bedroom is the high end en-suite shower room finished with travertine tiling and a superb walk in drencher shower with room for two! 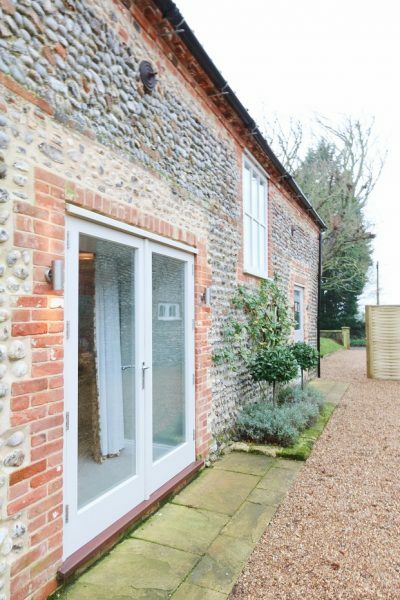 Externally the pretty walled shingle courtyard in-front of Poppy Barn makes for a peaceful and relaxing area to sit enjoying the sun with a glass of something bubbly or al-fresco dining in the evening. 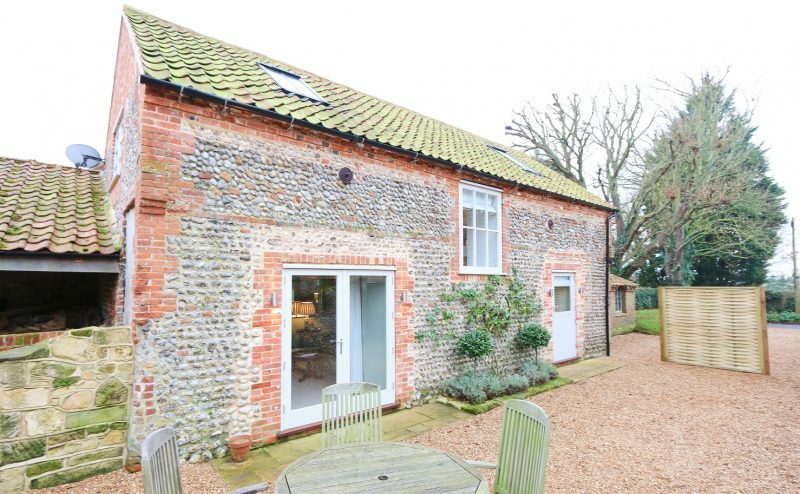 There is plenty of space for private off road parking. 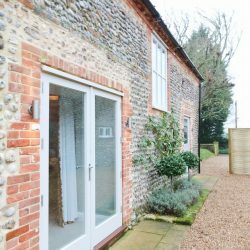 With so many beautiful beaches and characterful villages nearby in this lovely part of North Norfolk, you are spoilt for choice. 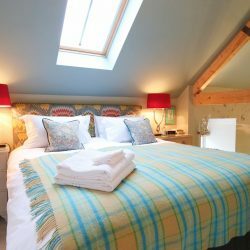 However… if you just need to kick back and relax away from the hustle and bustle of everyday life then just stay in and enjoy the serenity and peaceful relaxation that this beautiful romantic bolthole has to offer.